The residents of Lokogoma area in Abuja are going to experience a taste of undiluted worship this season. 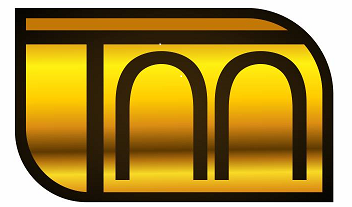 The event which will be hosted by Touch for Recovery Outreach International (TROI) will be mind blowing. According to the Host Dr Yusuf JS, Chioma Jesus will be ministering. While responding to questions from News men, Dr. Yusuf said TROI is not just a place of worship but a Home of Power, Wealth and Excellence with the mandate to reconcile people to God and help humanity rediscover purpose in life. Going by his track record of preaching and releasing prophetic impartation across Africa and beyond, Dr Yusuf JS is a servant of God with the grace to affect this generation positively. 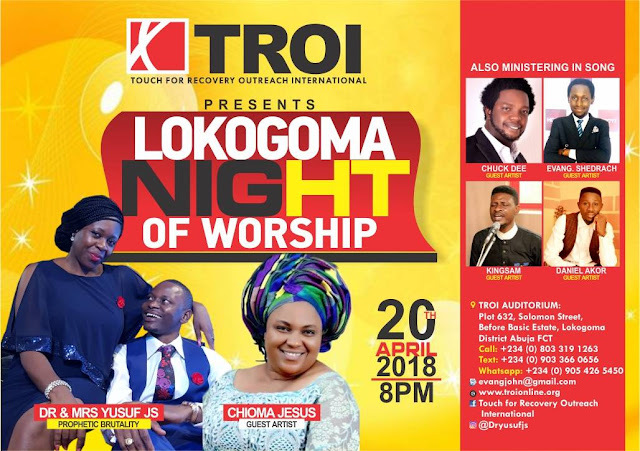 Lokogoma Night of worship is slated for 20th of April, 2018 and will hold at the Church auditorium. which is located before Basic Estate, Lokogoma Abuja. Abuja based gospel ministers will be ministering alongside the guest minister. CHIOMA JESUS. It will be quite an encounter.